Emergency Plumbers Chicago has earned the trust and confidence of customers who we have been working with for years in Chicago, IL. Whether you need a sewer line fixed or a leaky faucet repaired, a clogged sink cleaned out or an entirely new bathroom installed, calling us guarantees prompt, friendly service from expert plumbers who understand your needs and get the job done quickly and competently. Call us today for prompt, reliable service! We understand that when you need a plumber you need the work done quickly. Whether the problem is with a bathroom, the kitchen or the whole house heating system, when things go wrong with the plumbing in your home it throws everything in the house upside down and disrupts your life. Our plumbing services in Chicago, IL have earned a reputation for being responsive and reliable. When you call us we answer and when you expect us we’re there. We’ll evaluate your situation quickly, explain the problem and what needs to be done, and get it taken care of immediately so that you can get back to your normal routine. When you choose our plumbing services in Chicago, IL you can count on the fact that our plumbers will arrive ready to work. We’ll be neat and clean when we’re doing your job, disrupt your household as little as possible, have all of the tools and supplies that you need available so that we minimize the amount of time needed to get the job done. It is our goal to take care of your problem with a minimum of fuss or stress for you, and our licensed and insured plumbers are trained to address whatever your plumbing needs are. A call to our service means quick attention to your plumbing problem. We specialize in every aspect of residential and commercial plumbing and have made sure that every plumber on our staff is highly trained and qualified so that whatever your plumbing need is, you can have full confidence in our ability to get the job done and in us getting it done with minimum disruption to your life. 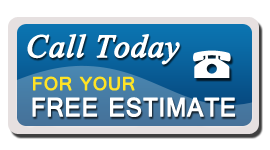 We’re focused on making sure that you’re happy so that whenever you need plumbing services in Chicago, IL in the future you won’t even need to think about who to call. 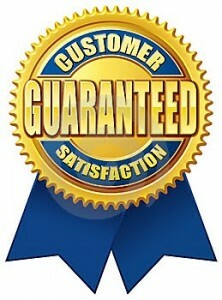 Contact us today and see for yourself why our customers trust us for all their plumbing needs. You’ll be glad you did.